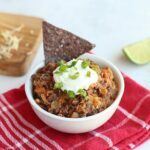 Quinoa, beans, and vegetables all combine with Southwestern spices to create this delicious, meatless skillet dinner that pleases both young and old! 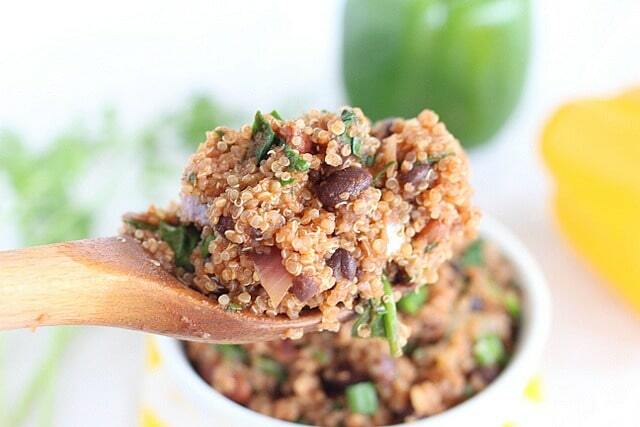 Quinoa is a food I’ve had to train my daughters to love. Sammy came out of the womb with a palate devoted to the pseudo-grain, but the girls have been more of a challenge. 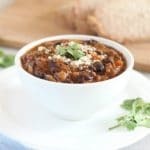 The best way I’ve found is with this recipe! Given their affinity for our city’s Tex-Mex, I’m not at all surprised that this was the dish to win them over. 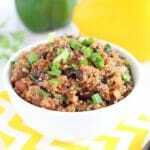 Chili powder, cumin, tomato, and bell peppers all contribute their flavors, while spinach and quinoa hide in the mix. 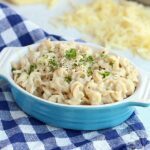 I love this meal for its simplicity as well as how fast it comes together. I typically have either canned beans or the Instant Pot variety on hand, so the main work is cooking the quinoa and chopping the veggies. 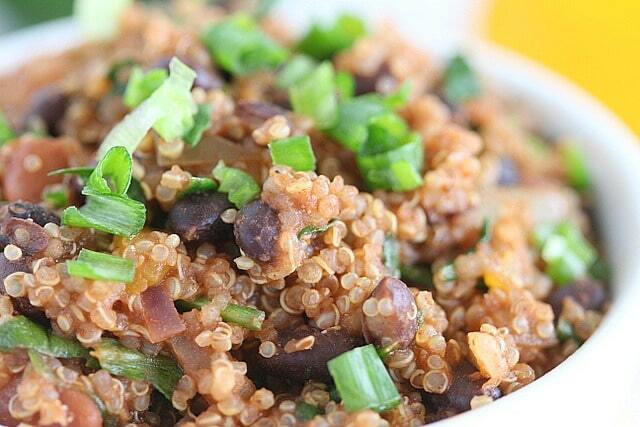 Can I pause and shout a big ‘hurray!’ for how fast quinoa cooks?! Fifteen minutes and it is done-zo, ready for the bellies. 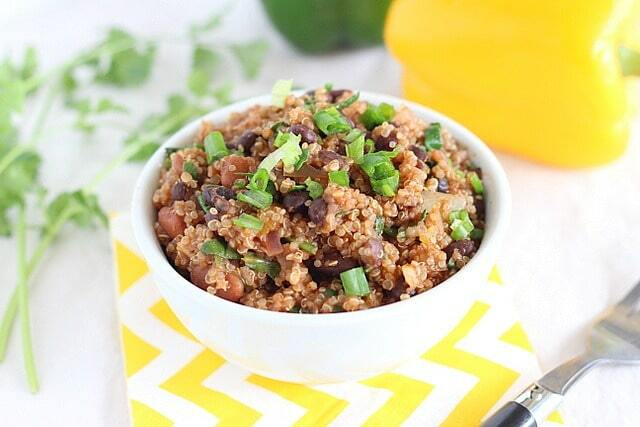 Now, there is a negative to this meal, and it involves the quinoa. I know, I just sang quinoa’s praises, but let me tell you, that stuff gets everywhere! You can bet your bottom dollar that I just cleaned the dining room floor the same day we enjoy this, so beware! 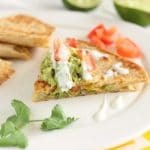 Aside from that, I think this makes a great meatless dish that can be enjoyed by all! 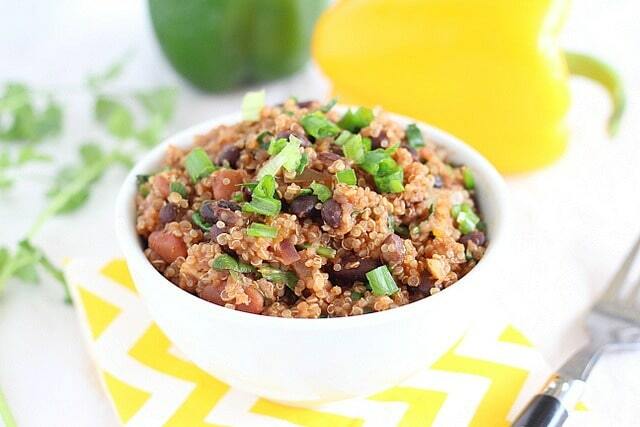 Quinoa, beans, and veggies come together with Mexican spices to create this delicious meatless recipe! 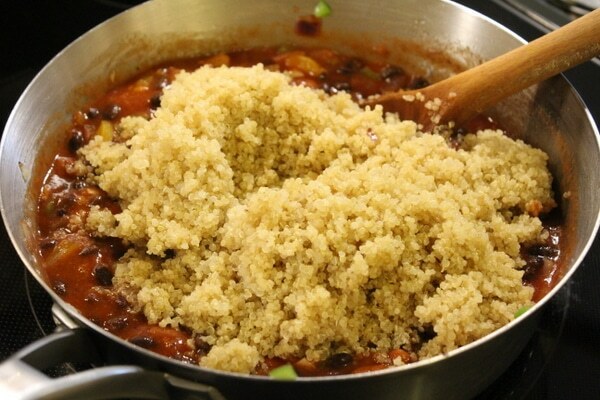 Begin by cooking the quinoa according to your package directions. 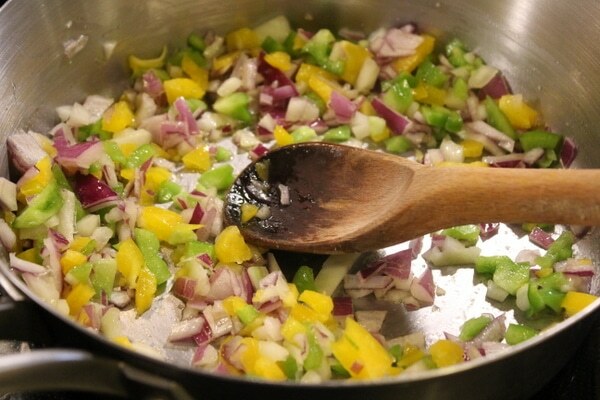 Heat the olive oil in a pan and add in the onion, bell peppers, garlic, and a good sprinkle of salt. 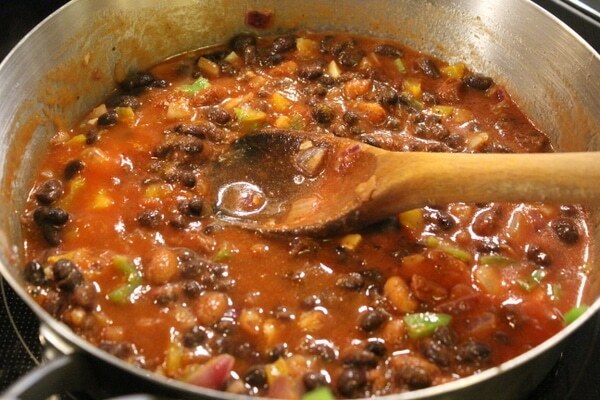 Cook until the veggies have softened, about five minutes. Pour in the tomato sauce (I use a combination of one cup Pomi strained tomatoes (which is really thick) and 1/4 cup of water). Otherwise, just add in 1 1/4 cups of tomato sauce. See Notes for more details. 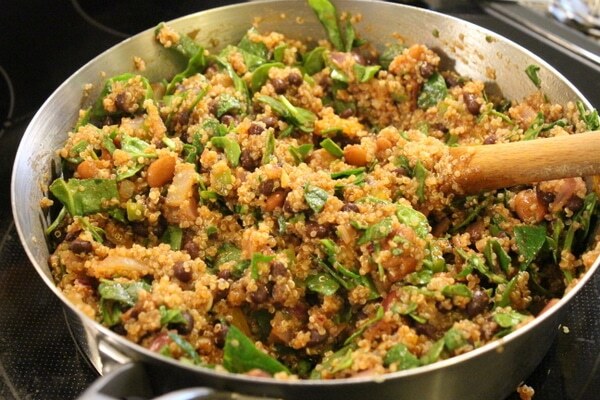 Stir in the spices, vinegar, spinach, beans, and cooked quinoa. 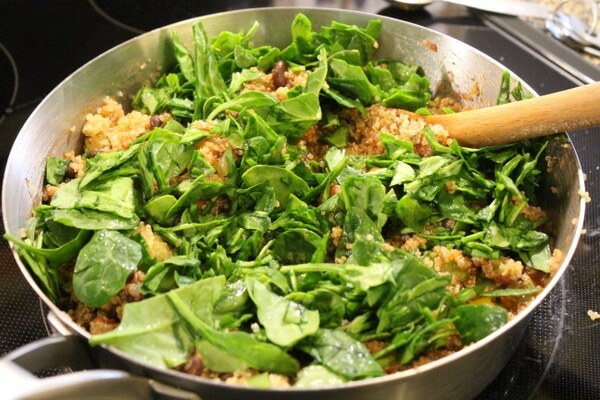 Mix everything and cook until the spinach has wilted down. Salt to taste and sprinkle the chopped scallions over the top for serving. 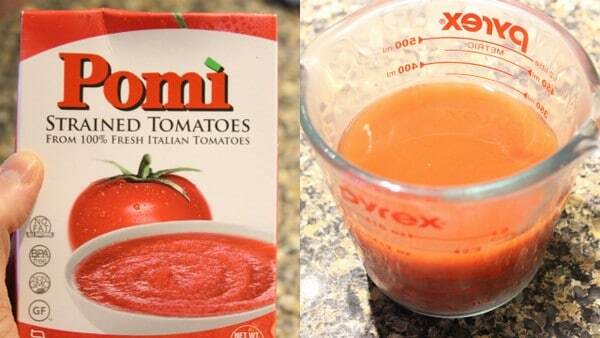 Because I don’t tolerate the canned variety of tomatoes, I use the Pomi brand of strained tomatoes. These are very thick, so to thin them out, I mix one cup of the Pomi with 1/4 cup of water to equal the 1 1/4 cups of tomato sauce called for in this recipe.